I have put off writing this post. I have put off writing, because it is so painful to share the news that on September 4, 2013, my dear mother, Jutta Salzberg Levy, died. Not just that, though–it’s not just that it is painful. If I’m going to tell you about my mother’s death, you see, I want to tell you about her life, too. You may know something of her life, because she is, after all, the central figure in my book, The Year of Goodbyes. But that book covers just one year in her long (not long enough) life, when she was 11 and 12 twelve years old. And there is so much more to know than her life in Germany in 1938. So I have put off writing because when I reach inside for the right thing to say here, I am finding both a geyser of memories and, at the same time, a well that has run dry. Some might call it writer’s block. I think it’s simply daughter’s grief. And yet, I do want visitors to this website–who are likely to know “Jutta Salzberg” from The Year of Goodbyes–to know that she is gone, and I want you to know at least a little bit more. For that little bit more, the best I can do for now is to share what I said about Mom at her funeral service. . . . I don’t know that I’ll ever free myself of the impulse—the need—to pick up the phone or get in the car and drive over to talk to my mother. And I know that I’m not the only one. 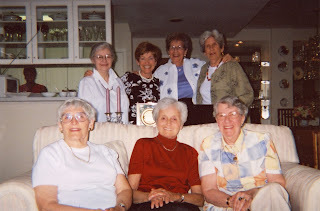 My mother made friends everywhere she went and at all stages of her life. In the grocery store checkout line. At the gym. In the beauty parlor. The nail salon. The theater. The doctor’s office. The dialysis center. At my dining room table, with my friends. At my friends’ dining room tables, with theirs. There was, it seems to me, nothing my mother liked to do more than get to know people, all kinds of people, from all walks of life and different ages and religions and ethnicities and, even, believe it or not, political persuasions. We could always get a table at Clyde’s because she became friends with servers and managers there. We could always get a hot ticket at the Kennedy Center because she became friends with a very dear man, whose name shall remain top secret, in the box office. She didn’t make friends to score a reservation or a theater seat. Mom was without guile in that way. She made friends because she found people, in all their variety, infinitely interesting and inherently worthwhile. But, as anyone who knew her knows, my mother was not all talk. Relationships and the attendant yakking were central, but so were experiences. 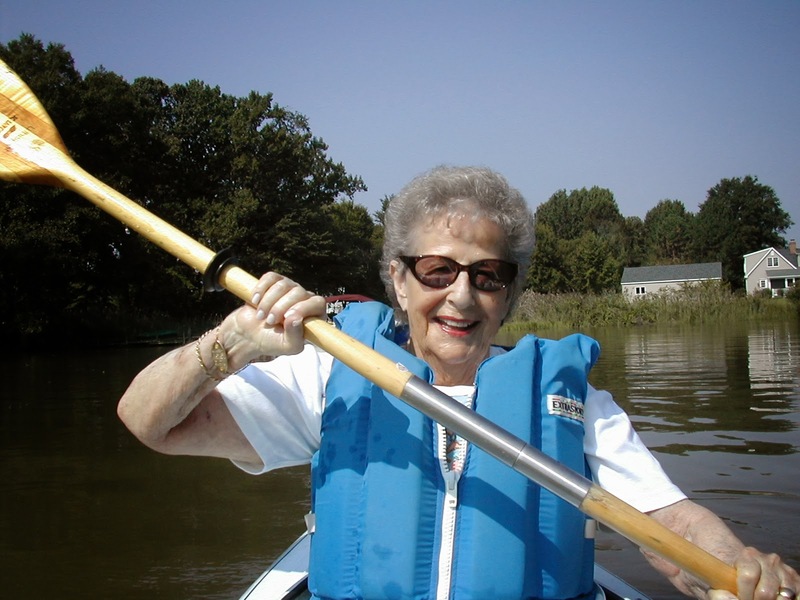 Here are some things Mom did with me into her 80s: kayak, fish, fish from a kayak, run around in a power boat, run aground in a power boat at a fairly high speed (my heart was in my throat, she was kind of, “and so?”), explore Sugarloaf mountain or, to be exact, the products of the Sugarloaf mountain winery, go to dive-y jazz clubs. . . .
rim of a volcano, get submerged in a submarine, travel to Alaska and Russia when such travel was still exotic, become a charter member of Bally Total Fitness and joyfully head to the gym for classes—aerobics, weights, Pilates—almost every day. . . .
Really, Mom could be a beer commercial: “Go for the gusto.” She loved the Kennedy Center, National Theater, opera, parties, movies, her grandsons, the rest of us in the family, her friends. . . .
She said this to an auditorium full of seventh and eighth graders at the Holton-Arms School. It was 2010 and I’d just finished a talk on my then-new book about Mom’s last year in Nazi Germany. One chapter depicts my 12-year-old mother agonizing over what would fit into the suitcase she was allowed when she and her family were packing to leave Germany forever. Now, at Holton-Arms, it was Q&A time, and I had a not-so-secret weapon in the audience: my mother herself. Hands waved. The kids wanted to know—how did she feel leaving behind her friends, family, home? How did she feel about leaving her stuff? 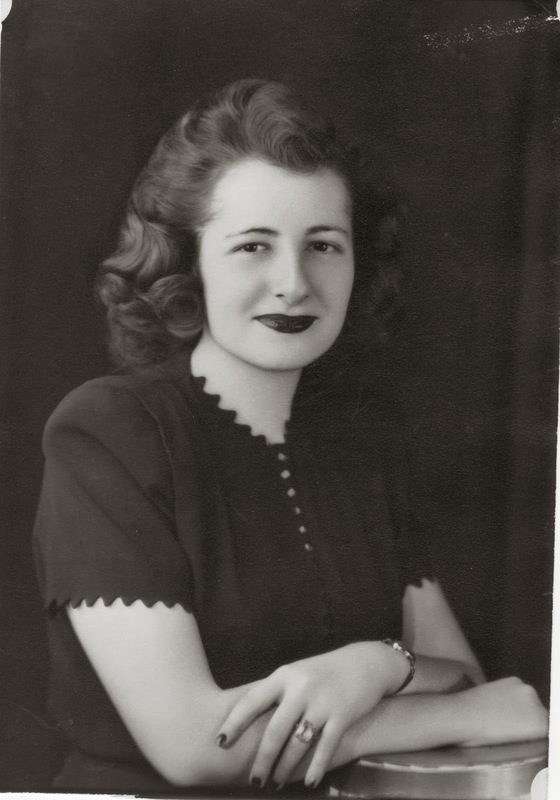 When we sifted through her stuff at the house on Vance Place, before the move to the apartment, Mom could barely contemplate selling anything. I insisted—everybody downsizes, Mom!—and we pulled together enough for an uninspired estate sale. I admit: Mistakes were made. The Barbra Streisand CDs: missing and presumed trashed. There were tears. The opera glasses that belonged to Mom’s mother-in-law, a woman so forbidding that my mother only ever referred to her as “Mrs. 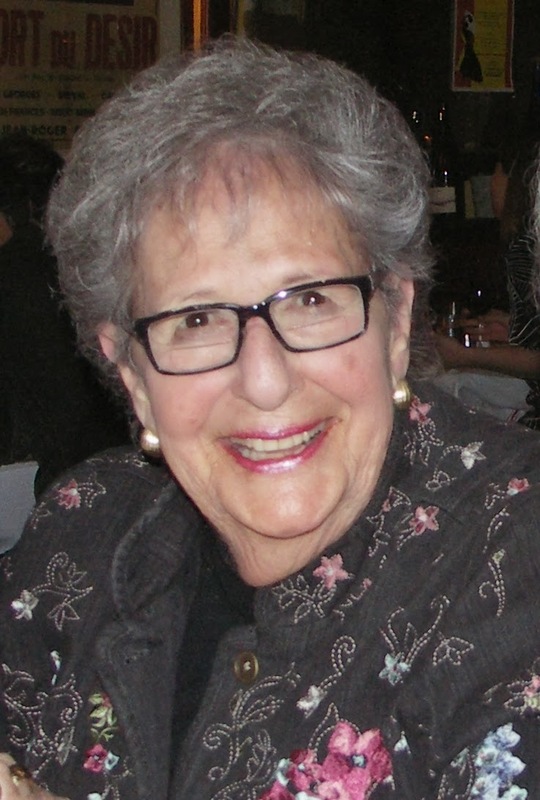 Levy,” not “Mom” or “my mother-in-law”: missing and presumed sold. More tears. My mother’s love affair with her stuff makes sense. You may lose your childhood, but if you manage to hang on to your poesiealbum—it’s not entirely lost. You may lose your father at a young age, but if you have the mother-of-pearl handbag he gave you, his doting love remains tangible. Your mother-in-law never liked you—but in the end you got her exquisite opera glasses. So, loving your stuff isn’t really about loving your stuff. It’s about loving your life. 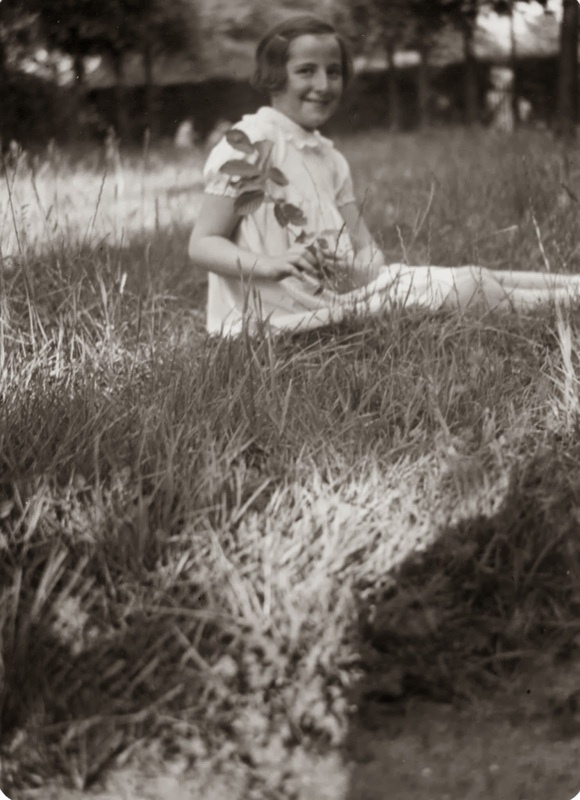 And, although there were certainly some low points, my mother loved her life. It was full of people, it was full of gusto, and also, okay, it was full of a certain amount of truly cherished stuff. And now she paddles away. . .
Love Your stuff as well Debbie! 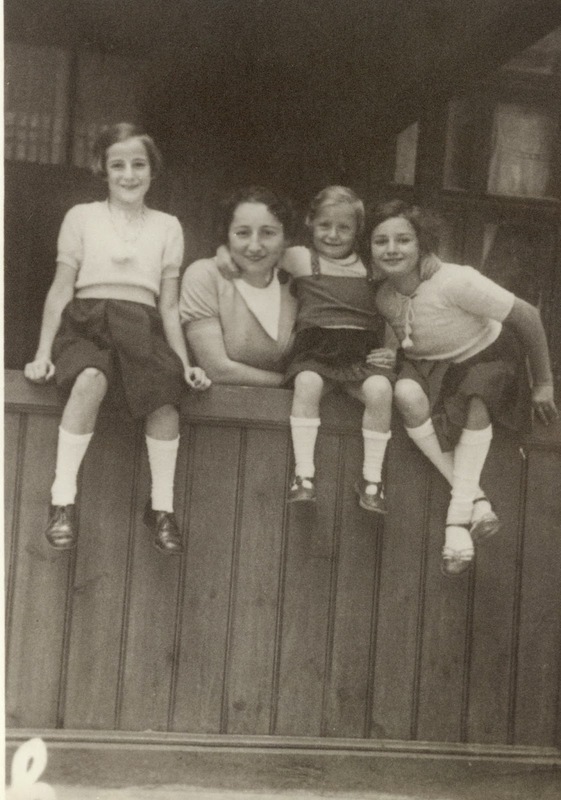 Your words don't just tell us more about Jutta, your mother, but bring to the surface memories of mine, and who knows how many other readers' moms, nonnas, savtas, bubbes, or avuelas. It's been three years since you wrote the above, and I just read The Year of Goodbyes thanks to Caryn Wiseman. Thank you for sharing more on this blog about the girl I got to know a little because of her poesiealbum, her diary and your book, that touching celebration of (her) life. Judith, it means so much to me that you read The Year of Goodbyes, and that you came here to get to know my mother a little bit more. Thank you for thinking about her life, and for reflecting on your own mother's life and thinking about all the others moms, nonnas, etc. (as you say). Your comment made my day, and it was already a pretty good day.